The #TechDiversity Awards committee is proud to announce its newly formed partnerships with the York Butter Factory and IPAA (Institute of Public Administration Australia) Victoria. These partnerships highlight the commitment of these organisations towards diversity as well as encouraging and promoting technological achievements within Australia. The York Butter Factory, established in 2011, provides technology startups with a launchpad to incubate, along with the resources and a collaborative space to build their business. Community Manager, Alexandra Rushan, says the collaboration provides a gateway towards an inclusive tech industry. 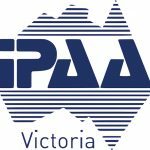 IPAA Victoria is the industry alliance and professional association for people who work in or with public administration in Victoria. They have joined the #TechDiversity Awards to support increased participation of women and minority groups in the digital technology industry within the Victorian public sector. A highlight of the partnership between IPAA Victoria and the #TechDiversity Awards will be a diversity in technology event as part of IPAA Victoria’s Public Sector Week, 14 to 18 August 2017. #TechDiversity Foundation co-founder and awards convenor, Deirdre Diamante, believes rewarding these efforts is essential to promoting inclusion within STEM. “Our vision for #TechDiversity is to help others and ourselves to be courageous and committed enough to take initiative and demonstrate leadership, with the long-term view to achieving true equality and a voice for all,” Diamante says. #TechDiversity is proud to collaborate with leading organisations and anticipates a sustained partnership effort that spearheads diversity within technology. Nominations from individuals and groups are now open for the #TechDiversity Awards, which will be celebrated at a gala dinner on 2 August, culminating in the announcement of the TechDiversity Champion and Victorian Innovation Minister’s Diversity Award.